I learned just the other day that there's such a thing as a magazine called Spudman. It's a trade publication for potato farmers. These farmers are a wonderful breed, I'm sure, and I mean them no ridicule. But there's just something funny about the word "spudman," and something even funnier about the fact that there's a magazine titled this. 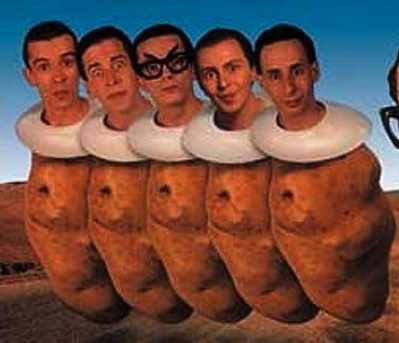 I wonder what would happen if the Spudmen ever met the Spud Boys?